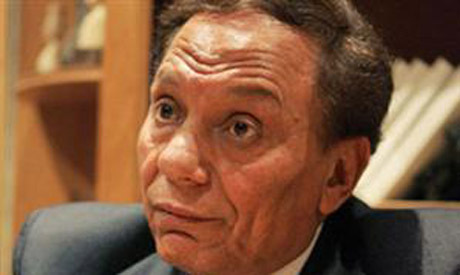 Egyptian comedy star Adel Imam has been sentenced to three months in jail with hard labour and fined LE1,000 for “defaming Islam” in some of the roles he has played. The case against Imam was filed by Asran Mansour who accused the actor of offending Islam and its symbols, including the Jilbab – a loose fitting garment worn by some Muslims – and beards, in the film Morgan Ahmed Morgan and the play Al-Zaeem (The Leader). Imam is considered Egypt’s biggest film star with 40 years of box office hits and plays under his belt. The actor was sentenced in absentia. Egyptian telecommunications and construction tycoon Naguib Sawiris, a founder of the liberal Free Egyptians political party, is facing similar charges of allegedly defaming Islam after he posted pictures of Mickey and Minnie Mouse wearing Islamic clothing on Twitter. Looks like the start of a new Egypt. ...what with the Islamists taking over the Egyptian government. sure A Imam jocked the islamists, but so what ? He is a great actor and making fun is not forbidden, why did the people laugh ? I claim he is inocent of any ill intention. If the post-Mubarak government keeps doing things like this, they can forget about ever recovering the GDP (about 11%) from tourism that has been lost since January 2011 . Europeans do NOT visit and spend money in a country that they think is more like Saudi Arabia than Europe. Cairo used to be "Paris on the Nile" but is quickly becoming "Jeddah West". This actor has made so much money for the Egyptian economy, making people want to go to the cinema and watch his films.... and we sentence him to prison for doing so? This shows Egypt in a totally new light!!! Religions don't deserve special treatment. It is time to reverse the prevailing notion that religious commitment is intrinsically deserving of respect. So much for free speech and democracy then. Witness the start of Egypt's decent into religious totalitarianism.